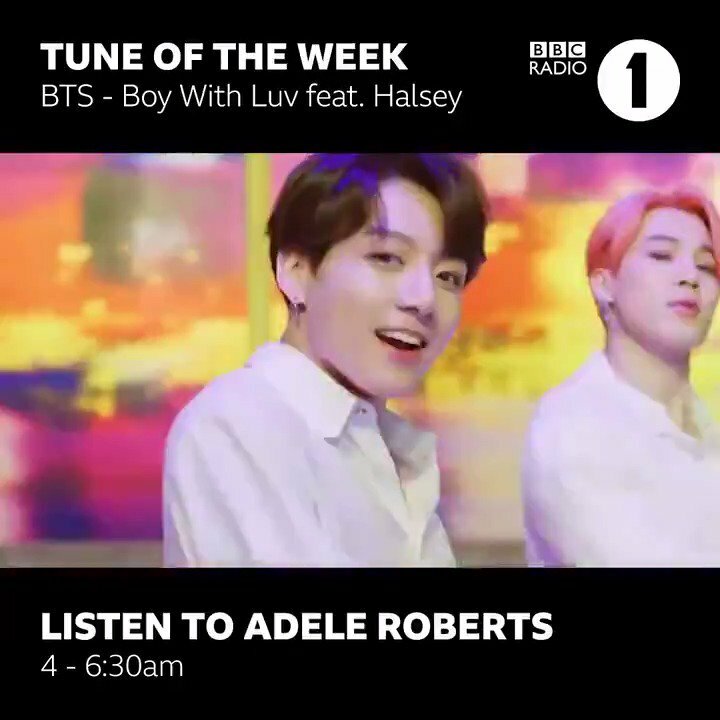 BBC Radio 1's tweet - "💜 @AdeleRoberts has picked @BTS_twt feat. @Halsey's 'Boy With Love' as her Tune of the Week 💟 Listen out for it on her show each morning this week! " it’s the half term, you really think some of us are seriously awake before 11am? My band released a music video and whilst watching it on YouTube this came on next on auto play. I enjoyed it. This songs is a bop and UK listeners need to hear it. We are so proud of our boys and want the world to hear it too! Thank you soooo much @BBCR1 @AdeleRoberts for giving lots of love to our boys @BTS_twt !!!! Your such an amazing soul!! Why are all these comments about JK? Thank @AdeleRoberts and comment about JK somewhere else. OH MY MY MY.. OH MY MY MY..